The concentrate market is only getting hotter, and more people than ever are getting interested in dabbing. The problem is, learning to dab can be daunting. Once people get past the somewhat scary idea of using a torch, the next concern is often dosing. Standard dab rigs with nails or bangers can be tricky for beginners as they figure out how to clear the rig. Even experienced dabbers can find themselves taking too big of a hit, and wasting concentrate. The perfect solution to this is a type of pipe called a nectar collector. Nectar collectors look nothing like your typical dab rig. They are usually around 10 inches long, with a chamber around 1 inch in diameter. They consist of a few different parts that must be assembled for use. Water Chamber: Like dab rigs, nectar collectors rely on water filtration to deliver smooth hits. The water chamber is the main component of a nectar collector, and the part you hold onto while taking your dab. The simplest nectar collectors have a basic dome perc, but you can also find variants with tree percs for more powerful diffusion. Straw: The straw, or mouthpiece, is a small glass tube with a joint you insert into the top of the water chamber. Typically, the joint is 10mm. Tip: The tip of a nectar collector connects to the water chamber with a joint as well. Some kits come with a keck clip to hold the tip and water chamber together for extra security. Dab Dish: The dab dish is unique to nectar collectors. It’s a little glass, quartz, or silicone dish where all the action happens. What are Nectar Collectors Made From? 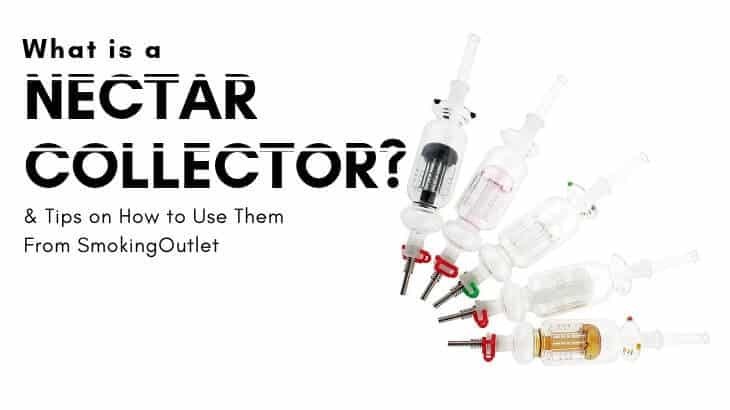 You have two main choices when deciding on a nectar collector: glass, or silicone. Glass nectar collectors are favored for having ultra-clean vapor flavor, but silicone is the way to go if you want to take your dab sessions on the road. Tips vary in material, too. The most basic kits come with a glass tip, but you’ll commonly see titanium tips as well. Quartz tips can be found as well, and are a good choice if you like the clear look but want to retain heat and resist cracking better than glass. How Do I Use a Nectar Collector? The real question is, how do you use one of these contraptions? Luckily. It’s pretty simple. Fill the main chamber from the top. Fill it slowly and steadily, until the chamber is about ⅓ to ½ full.Note: DO NOT fill a nectar collector with tip attached. Water may get trapped in the tip and cause cracking when heated. Insert the neck piece into the top of the water chamber. Insert the glass, titanium, or quartz tip into the bottom of the joint, and secure with keck clip if available. Use a push-and-twist motion to ensure a snug fit. Prepare your concentrate by placing your desired amount in the dab dish, and placing it on a flat surface free of surrounding objects. A counter or table is best. Double check that the tip is secure in the joint, and re-adjust if necessary. Hold the nectar collector horizontally and heat the tip with your torch. Avoid getting the tip red-hot, as that increases the chances of damaging the nectar collector, and leads to some very harsh dabs. Once the tip is heated to your preferred temperature, touch it to the dab you’ve set up in the dish, and inhale the resulting vapor. Once you’re done, lay the nectar collector on its side to cool, and enjoy the taste of your favorite concentrate! The basics of using a nectar collector are pretty simple after you try it once or twice. But here are a couple of pointers to help you get the most out of your experience! Cannabinoids and terpenes—the compounds that combine to get you high and flavor your dab—are vaporized at fairly low temperatures. Once you pass 400°F, those compounds burn and are lost. Experiment with your firing time and keep it low-temp for the tastiest dabs. Dab mats are a lifesaver for nectar collectors. While you can place it on its side to cool and keep the tip from damaging your surface, a dab mat prevents any unseemly spills from damaging your surface. Believe me, it happens more often than you might think. To smooth out your dabs even further, try starting your inhale as you finish leaning down to the counter or table. Before you actually touch the heated tip to the concentrate. This adds some cooler air to your hit, which is then receives further cooling by the water filtration in the chamber. Nectar collectors are an elegant way to get the best flavor from concentrates, as well as dose your sessions more precisely. There’s also the cost advantage: nectar collectors are definitely cheaper than your average dab rig. 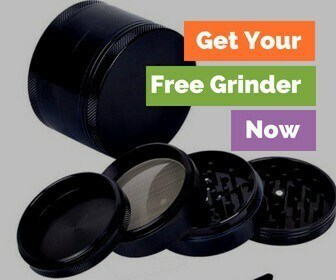 Add in their portability, and you’ve got the perfect companion to your best concentrates. Spencer Grey is a staff writer at Smoking Outlet. A fast growing online headshop out of Seattle, known for the the best prices on the best pieces.